These days, one could get the impression that power amp tone has been put out to pasture. 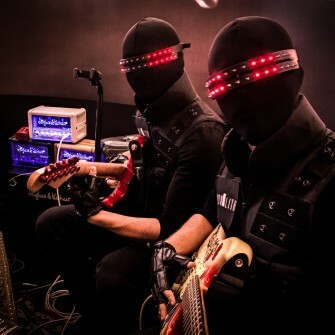 Many electric guitar players produce their signature tones with tools that compute sound or use some kind of analog filtering, frequency compensation or other simulation that funnels their signal straight into a DAW or live mixer. It’s understandable that these devices have become so popular: these guitar amp surrogates are the instant noodles of tone, and you don’t even need hot water to get cookin’. All this works pretty well now; so well, in fact, that many recording studios and cover bands jumped aboard when these solutions first became a viable alternative and haven’t looked back since. Even tone fanatics who fly off on tirades of foam-spitting fury at the mere mention of digital modeling have been known to sneak such tools in for small sessions. Go on, admit it. All this convenience has come at a cost, though. 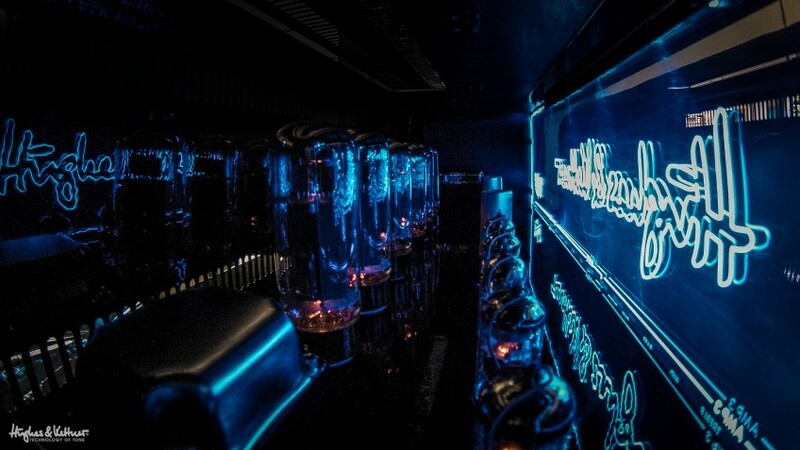 Mmm, tubes. The original… and best? There’s certainly growing competition from the digital sector these days, but at what cost to our precious tone? 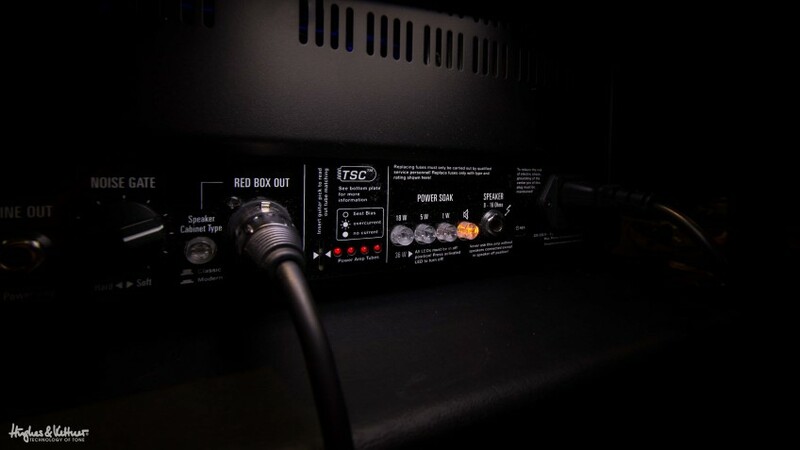 The impact of the power amp on tone is rarely discussed these days, and industry marketers are curiously silent on that matter. 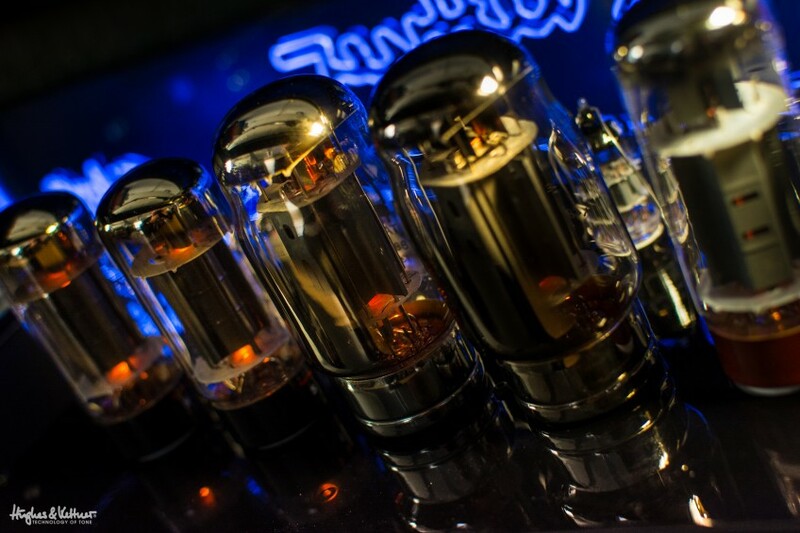 Of course, we’re talking exclusively about tube amplifiers here. Generations of guitarists grew up with amplifiers that shaped sound in complex ways with the simplest of tools: the volume knob. The louder you played, the tastier the tone – you could go from so-so to sublime at the twist of a wrist. How did all those iconic guitar heroes become wild-eyed pied-pipers that enticed generations of young men and women to pick up the instrument? By cranking the amp’s volume pot, that’s how. The password to tone heaven was a number, 10, to be found at the far right of the control range (even if Spinal Tap legend Nigel Tufnel stretched the boundaries of tasty tone to 11 like he did the boundaries of taste with his anatomically-revealing tights). The risk of tinnitus was great, but for many, the rewards of that big, bold sonic statement were even greater. It was a sound so seductive that it made true believers of many of us. A loud electric guitar was the gateway to the drug that is rock ‘n’ roll; its addictive allure had the power to transform the listener into a hopeless junky. A whole load of ‘musical junkies’ at Woodstock. Rock ‘n’ roll was – and is – a true revolution for many. Much of the attraction was down to the exalted art of the riff, but it was the power amp that mainlined the message straight to our souls with such force and authority. Rock concerts in the ‘60s and ‘70s were much more than mere music recitals; they were the loudest expression of a young generation’s lust for life. They were ritualistic, perhaps even devotional when a worshipping community assembled, but always gleefully irreverent. The best bands danced on the precipice between pleasure and pain, at that tipping point where the gig was just loud enough to feel the sound and fury of rock at its best. On a good night, this conjured the sort of spiritual magic that swept up audiences, and a lot of that voodoo was down to cranked guitar amps. The pioneers of rock may have been singing about all kinds of stuff, but their music conveyed a single message, and it was tantamount to revolution. Bands wanted to get that core message across loud and clear, and they did so with the only means at their disposal at a time when equipment was crude: volume. It worked. Rock ‘n’ roll guitar was subversive; a peaceful version of the insurgent’s favorite guerilla tactic, the surprise attack. 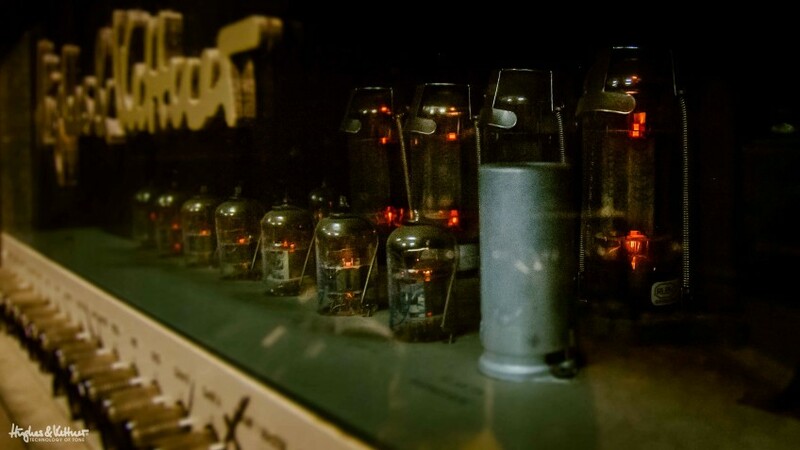 And the most powerful weapon at the guitarist’s disposal was the volume knob and a quartet of toasty power tubes. Up to the ‘80s, amps with a master volume knob were as rare as a nun in a bikini. By that time, the dynamics and tone of tube-driven power amps had had a formative hand in shaping most guitarists’ tastes and sensibilities. A proper old-school Hughes & Kettner power amp in operation. Without a master knob to tame the volume, you had to get loud to sound good. That’s just the way it was, and few thought to question this conventional wisdom. These brutes slumbered at lower volume settings. Their tube-flavored tone was toasty and lively enough, but diming that volume knob unleashed something savage inside. I’ll go out on a limb here and say no multipurpose amp surrogate, no matter how good, can match the vibrant tone of the great originals. But the price to be paid for this bliss-inducing tone – deafening volume – was very high. That spine-tingling tone was only to be had be running the amp at painful levels. Jimi Hendrix’s antenna was tuned into the mood of young Americans when he plucked that vibe right out of the ether in 1969 and channeled it into his rendition of The Star-Spangled Banner at Woodstock. I wasn’t there, but I can well imagine that the sound of his Marshall tower found its way to the ears of well over 400,000 people even without a real PA.
That kind of thing just doesn’t happen anymore; today we live in a very different age. Our society is more tolerant and politically correct, but there’s also a certain joylessness in our pursuit of standardized, homogenized norms where rock stars act more like royalty than rebels. Of course, laws that restrict volume levels at venues these days are welcome. It’s also good that volume levels on stage are probably lower than in the daycare center romper room when Junior decides to show off his pet snakes. Have you ever truly cranked it? These are all healthy developments, and I’m not saying that tamer is lamer, but I do sometimes miss that savage snarl of a raging power amp. There’s just nothing like that primitive, anarchic feel of playing a spine-tingling riff through a saturated tube output stage on the verge of meltdown. It’s a liberating experience for a guitarist. If the human condition is for the soul to be trapped in the body, then this a sort of release; something like the satisfaction an inmate gets by swinging a sledgehammer against the lock on his cell door. Hey, I’m not knocking solid-state stuff. A semiconductor piping electrons through crystalline or amorphous layers can yield some pretty funky tones. But it’s the dynamic forces acting within an analog circuit and within the vacuum of a power tube that really float my boat; especially that groovy breakup incurred by nudging those tubes beyond the clean threshold. Organic, musical and deeply satisfying, that kind of gain is very hard to simulate or otherwise approximate using digital means. There is a breed of amp that manages to bridge the gap between Swiss Army Knife surrogate and old-school power tube saturation: state-of-the-art, all-tube amps with power soaks on board. … and here’s that solution: the power soak. By converting energy into heat, it enables you to fully crank your tube amp at living room levels – or even silently, for recording at any time of day or night! One such animal is the TubeMeister. With circuitry based on the smallish but very musical EL84 power tube, these amps let you push the power section into the pleasure zone – at a volume level that won’t cut Grandma’s nap time short. You can hitch up those tubes, work ‘em a rented mule, and let it rip without rupturing eardrums or relations with the neighbors. Be warned, though: the use of this kind of amp carries the risk of addiction. You won’t be moving enough air to set trouser legs a-flappin’, but you may well stir the very emotions that drew you to the instrument in the first place. And if you do, it will take a crowbar to pry you away from that amp. If you have no idea about what I’ve been raving about all through this blog, then fire up those power tubes and scorch some earth. Not for too long (you don’t to harm your ears), but just long enough to get a feel for how it all started back when the electric guitar was a weapon of peace and a symbol of freedom. That axe was instrumental in shaping the sound of popular music, defining rock ‘n’ roll, and maybe even changing the world for the better. And it would have never been heard if it hadn’t been so assertive. First published: December 18 2015. Most recent update: February 17 2016. I would like to know who write this article and possibly pick their brain because, the first half of this article is PERFECT (nothing against the promotion of the Tubemeister). A nice chat with the author would be greatly appreciated! 1. Is the Volume knob in the master section (the one that affects all 6 amps) after the power amp gain stage or before it? Does it work like a power soak, or will it eventually kill the power tube saturation if turned down too much? 1B. Assuming the volume knob kills the saturation… will there be a Triamp MK4 with power soak in the future? 2. There is a product on the market that allows one to use EL84’s in an octal tube socket. They call them Yellow Jackets. Supposedly they are self-biasing. I’m curious if you’ve tested these in the MK3? 1. The volume knob is before the power amp gain stage, and it doesn’t work like a power soak. To integrate a power soak for an amp of up to 180 watts is impossible. However, of course external power soaks could be used for this.